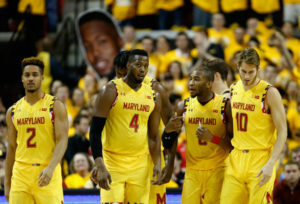 It’s hard to believe the Maryland Terrapins Men’s basketball team hasn’t achieved the level of success many fans around the nation believe they should be having. Every fan of college basketball knows how great of a coach Gary Williams was for the program. But what needs to be discussed is why current head coach Mark Turgeon has actually brought so much success to the program yet he does not have a single trophy to show for it. 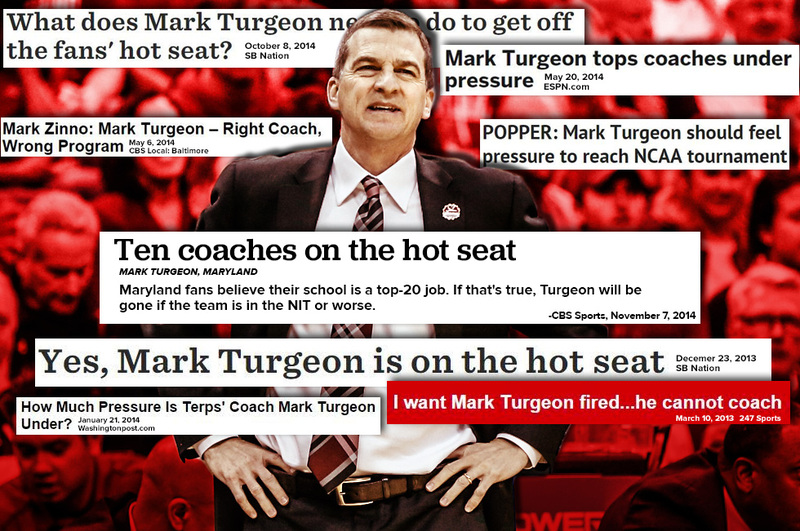 For one thing, there is no denying Turgeon’s astounding recruiting abilities. Since becoming the Terps head coach, Turgeon has brought in five consecutively-ranked recruiting classes including a top-10 class in 2016 which included former center Diamond Stone – a McDonald’s All-American. Turgeon also had success in recruiting this year with yet another McDonald’s All-American, and Maryland native, Jalen Smith, who is poised to become one of the nation’s best college basketball players. The Terps are currently the nation’s 10th best recruiting class according to ESPN. But lets take it back a couple years. For the 2015-2016 Terps team, five of Turgeon’s players were featured as All-Big Ten performers. Guard Melo Trimble was named Second Team All-Big Ten and was an AP Honorable Mention for the All-American Team. Diamond Stone was Third Team All-Big Ten and AP Big Ten Newcomer of the Year. Jake Layman, Robert Carter Jr., and transferred guard Rasheed Sulaimon each individually received Honorable Mention All-Big Ten honors. Turgeon managed to bring Sulaimon to Maryland after he became the first ever player dismissed by Duke Blue Devils head coach Mike Kryzyzewski. Sulaimon averaged almost 12 points per game with the Blue Devils helping the team to an Elite Eight appearance during the 2012-2013 season – the same year Maryland lost in the NIT’s Final Four to Iowa. Sulaimon put up career high numbers in almost every stat, even minutes played, under Turgeon. What’s even more impressive about Sulaimon that many fans overlooked is he was a National Honor Society member who ended up getting his degree in just three years at Duke University. Sulaimon later went on to receive the Scholar-Athlete of the Year Award. So not only did Turgeon manage to recruit a solid player, but also someone who wasn’t lazy in the classroom. Which brings up another outstanding fact about Turgeon. In 2012-2013, his team scored its highest single year APR score of a perfect 1,000. Turgeon recruits with the best in college basketball. He constantly holds his players to a high academic standard. What else? Turgeon has led the Terps to three straight NCAA Tournament appearances. In 2016 he ended up taking the Terps to the Sweet Sixteen, which they lost to #1 seeded Kansas 79-63. This was the furthest the Terps have gone in the NCAA Tournament since 2003 when they made a Sweet Sixteen appearance and lost to Michigan State. In fact, it actually took both Williams and Turgeon five years to finally make an NCAA Tournament appearance after becoming the head coach for the Terps. The problem is Williams was never the recruiter Turgeon was. So some could make the argument Turgeon was able to recruit better talent so he should be going to the Tournament more often then not. Although, Turgeon did set a Maryland basketball program record by recording the most wins by a Terps head coach within his first five seasons. Not to mention his 79 wins over the past three years is the second-most in school history within a three year span (disregarding this season) leaving the team to be nationally recognized on a consistent basis. Before Turgeon came to coach for the Terps, the team never ranked in the top-10 for a span of 12 seasons. The last time the Terps were ranked in the top-10 before Turgeon was back in 2003. But heading into this season Turgeon managed to keep the Terps in the Associated Press top-25 for 36 consecutive weeks! Since the program joined the Big Ten Conference, Turgeon has led the team to a conference record of 42-20. And with a 28-7 record (14-4 conference) the Terps became the 12th ranked team in the nation their first season in the Big Ten Conference. Remember when people from around the league said all this about him? That guy “on the hot seat” also became the fastest coach in Big Ten history to win 30 games and ended up winning the 2015 Big Ten Coach of the Year Award. It is because they cannot win games against big name teams to save their lives. It’s sad but true. 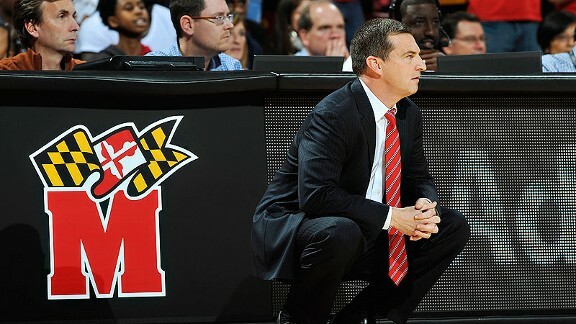 Since Turgeon became coach in 2011 the Terps are 7-27 against ranked opponents. They are currently 0-4 this season against ranked teams being outscored 330-272. The worst part of it is that all four of those teams (Purdue, Ohio State, Michigan, Michigan St) are in the Big Ten as well. But it doesn’t motivate fans when the Big Ten tournament comes around at the end of February. Especially when the team takes a dagger to the heart like in this game against Michigan. Maryland is an exciting team to watch. Their players are unbelievably talented and can ball with the best players in this league when they choose to. But Turgeon and the team don’t need me to remind them of what has happened this season or past seasons. They know what has happened. They know they need to make adjustments. The difference is simply talking about it and actually doing it. The talent is there. The team just needs to find a way to win the big games. They need to truly show up when it matters against teams on a level they will face in the NCAA Tournament. Maryland needs to start playing like they belong with the best in the nation. And Turgeon needs to be the guy to make sure of it all. Yes, the Terps could have possessed super teams if guys like Diamond Stone stayed around a bit longer. 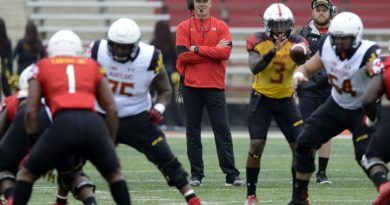 There is no question that the Terps would be contenders if they could keep one and done freshmen. If Turgeon can find a way to shock college basketball then Maryland can be back to the great team it once was under Williams. 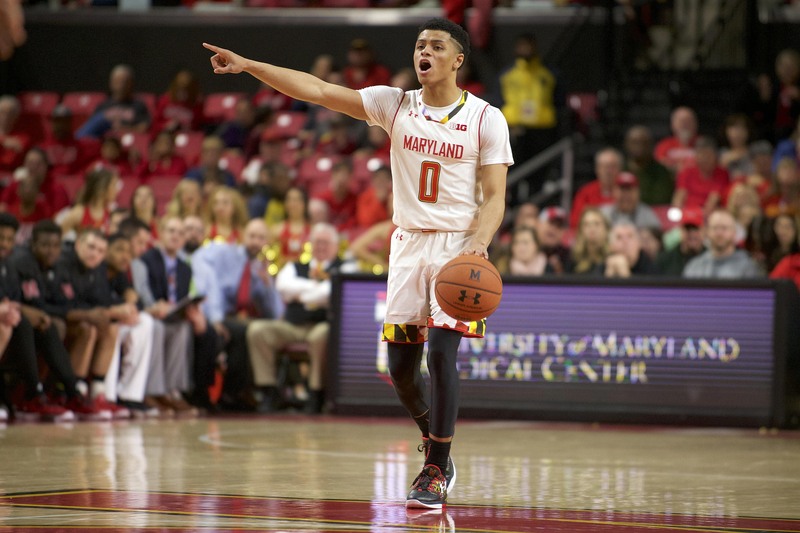 So much talent has come and gone through Maryland basketball history – the trend is continuing under Turgeon. But the dust needs to start to be removed from the trophy case soon or else this program will continue to be looked at as the best among the league of mediocre teams. ← Does Lionel Messi need to win FIFA World Cup 2018 to be greatest of all-time?